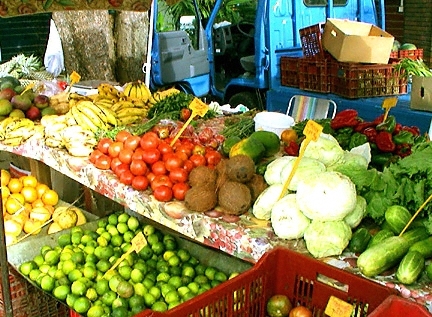 Outdoor farmer's markets add to the charm of the French West Indies. Travelers to Martinique will discover some excellent prices on French perfumes, crystal, jewelry, designer fashions and accessories, watches and liqueurs. Interesting souvenirs and local items include spices, dolls, handicrafts made of shells and straw as well as potent rums. Painting and sculpture by native-born Martiniquais as well as immigrés can be found at galleries and hotels throughout the island. Most stores, which cater as much to visitors as to locals, are open 8:30 to 18:00 Monday-Friday, and on Saturday mornings. Some close for the traditional 2-3 hour lunch break beginning at noon or 13:00. There is a 20% discount on luxury items paid for by travelers' checks or credit cards in some shops. Travelers will find boutiques throughout the island in hotels and towns as well as in the marina area of Pointe-du-Bout. There is a large, modern shopping center with many shops and boutiques located near Lamentin. The airport duty-free shops are usually open prior to plane departures. Please click here for a directory of shops and boutiques. Please click here for a directory of art galleries.